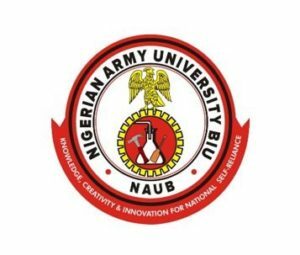 See How To Check Nigerian Army University, NAUB Admission List Online | NAUB Admission List is Out – The list of candidates offered provisional admission into the Nigerian Army University Biu (NAUB) Degree programmes for the 2018/2019 academic session is out. This is to inform all the candidates that applied for admission into the Nigerian Army University Biu (NAUB) that they can now check their admission status. The Nigerian Army University Admission list has been successfully uploaded online. How to Check Nigerian Army University Admission List. Follow the link above in-case your device can’t display the document above (Note: You will however need a device that is capable of opening PDF files to access the list). RECOMMENDED: Nigerian Army University Biu (NAUB) Acceptance Fee Payment & Registration Procedures for 2018/2019 Academic Session. Finally, click on ‘Check Admission Status‘ to access your NAUB admission status. Successfully admitted? You have to ACCEPT or REJECT your admission offer on JAMB portal — How to Reject/Accept Your Admission on JAMB CAPS. Candidates are advised that any offer not accepted within 72 hours may be considered rejected. Congratulations to all the candidates that made it to NAUB admission list for the 2018/2019 academic session.